Welcome to all those who joined the readership of Family Included at the Toronto Congress of the International Confederation of Midwives! The readership of Family Included includes influential and visionary people from all over the world and is growing all the time. When midwives and other maternal and newborn health professionals engage with fathers and families, the health of mothers and babies definitively improves. 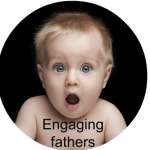 The evidence has become so strong that the World Health Organisation has declared engaging with fathers to be a global priority – WHO is the ultimate world authority on health! Our mission must now be to implement the WHO recommendations. The next email we send to you will be about ideas for action following discussions at the ICM Congress. In the meantime, here are two things for you to consider! Please have a look at the library of articles already on Family Included. It is a fantastic resource for anyone considering engaging with fathers and families in maternal and newborn healthcare. Use the list of topics on the right to find articles. International policy, including all that WHO has said on the topic. The motivations and needs of fathers. The biological and neurobiological changes in fathers when they care for babies. The global evidence for how engaging fathers improves maternal and newborn health. 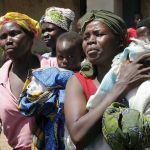 Practical steps that maternal and newborn health services can take to engage fathers. The barriers to father and family inclusive care and how to overcome them. We can run a course exclusively for your agency for a flat rate if that works better for you. A review of recent videos on fatherhood that have gone viral around the world and could be an inspiration for the families you work with. These videos all have between 10 million and 100 million views already and represent a global social change that is going to reach everywhere in the world. Reports on the research of Eva Andersson and Petra Palsson, who both presented their work on fathers in Toronto. Also reports from Uganda, Rwanda and six other countries. Please share Family Included with others and follow on Facebook! You are helping to build a new global campaign that will bring better health to millions of mothers and babies!